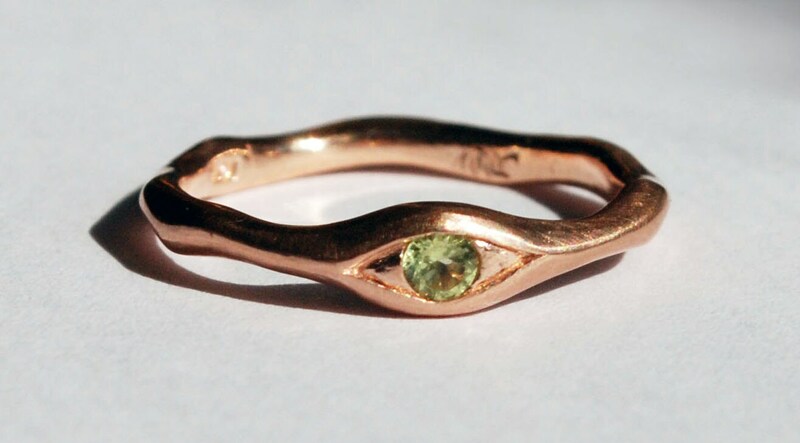 This eye ring is solid cast 10k rose gold set with a 2.5mm pale green peridot. 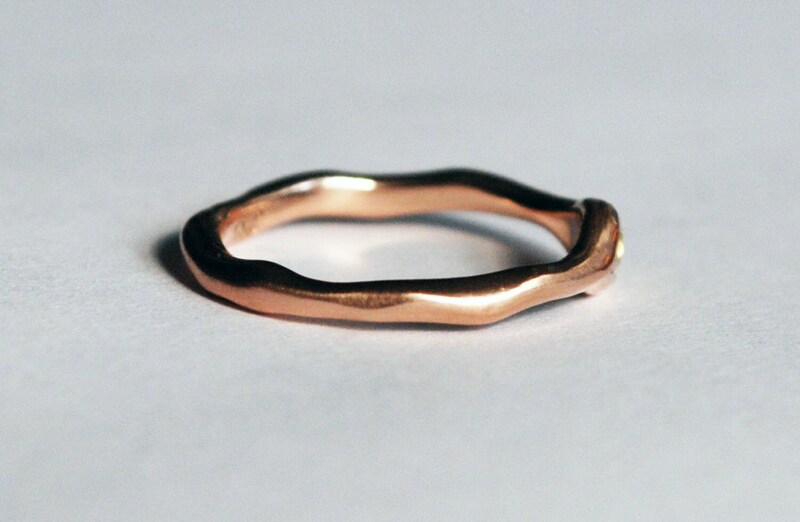 Buffed and burnished to a satiny glow, it is a US size 5. 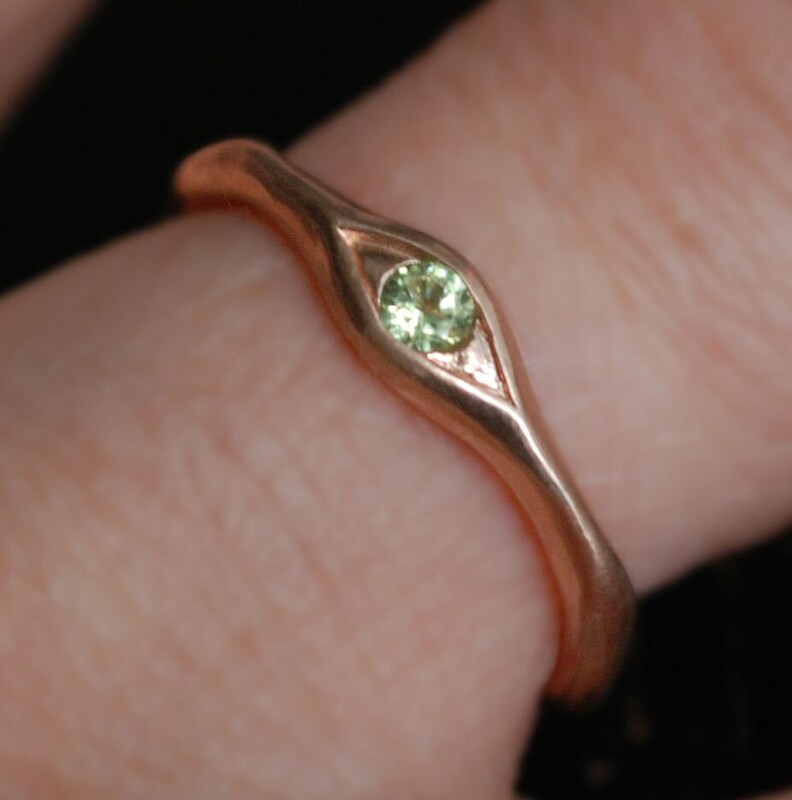 Looks beautiful on its own but stacks nicely with other rings as well. 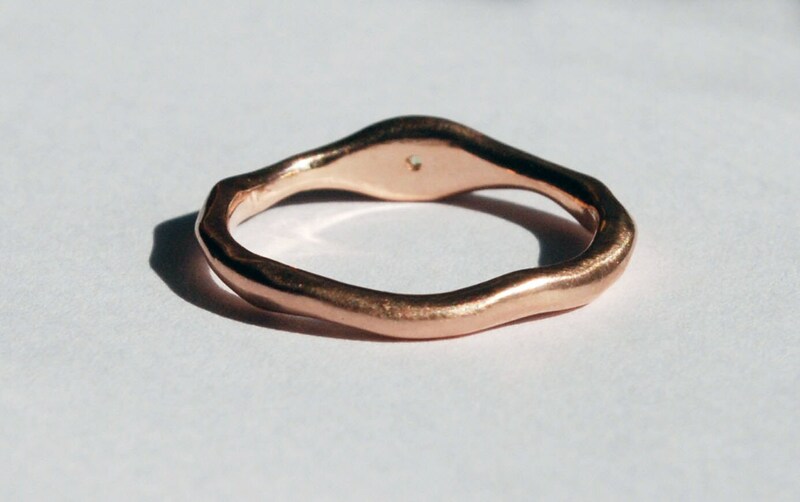 This ring can be remade in US sizes 4.5-8.5. Please contact me for a quote and timing if you are interested in a different size option.